A federal jury has ordered Takeda Pharmaceutical Co. and Eli Lilly & Co. to pay a combined $9 billion in punitive damages after finding that the companies hid the risks of cancer in their diabetes drug trial held in the United States. This makes the jury award the seventh-largest in U.S. history. The Osaka-Japan based company may be forced to pay the final judgment in the case, even covering the $3 billion ordered paid by its partner company Eli Lilly in Indianapolis. The company lost 5.2 percent of its shares, the biggest drop since last year. This giant award is a signal to other companies that juries and courts are willing to hold them accountable for egregious deceit of consumers. Our defective drug attorneys are dedicated to protecting the rights of victims who have suffered because of dangerous and defective products, or failure to warn. We take an informed and strategic approach to understand the facts of every case and will aggressively pursue relevant legal claims against liable companies. In addition to advocating for our clients, we are abreast of products liability legal developments, locally and nationally. Takeda finally faced the claims after a research project last year linked Actos use to liver damage. More than 2,700 claims have been filed and consolidated before the U.S. District Court Judge in Louisiana. According to the complaint, Takeda manufactured and marketed Actos to users, knowing that it could cause cancer. Plaintiffs also asserted that the company failed to warn both doctors and consumers about the risks. In products liability cases, plaintiffs must demonstrate either that the drug was defective or dangerous, or that the company failed to inform consumers of known risks or harm. Plaintiffs’ attorneys presented significant evidence that Takeda agreed to “indemnify” U.S. corporation, Lilly, for legal liabilities tied to the drug. This means that Takeda will be on the hook for the final punitive award. The companies are facing thousands more claims, including more than 3,400 Actos claims in Illinois. 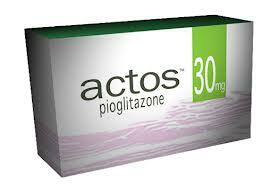 Users of the drug have attributed it to the development of bladder cancer. According to evidence provided by the plaintiffs, executives at Taketa ignored and downplayed reports that the drug could potentially lead to cancer. In addition, the executives mislead their investors to insulate profits. Officials from both defendant corporations assert that they will appeal the jury verdict, arguably the largest award in a dangerous drug case. According to Bloomberg, it is likely that the verdict will be reduced, based on Supreme Court verdicts that have held punitive damages must be proportional to the damages that underlie them. The Supreme Court has ruled that in some cases, 10 times the amount of compensation is acceptable. In recent cases, all punitive damage results were reversed or reduced; however all claimants still received a substantial portion of damages. The case is being appealed and some legal analysts believe that the jury award will likely be reduced, even if the appellate court sides with the plaintiffs.